What is On-page SEO: On-page SEO is the practice of optimizing web pages to rank in SERP and drive more relevant traffic in search engines. On-page SEO allows us to optimize content and HTML source code of a page. Establishing a business can be typical and full of struggle, but when you maintain the name and value in the market, you have to focus on taking this business to a new level. Creating a website and getting more visibility is the next thing. Creating a good website is not an easy task, and you have to focus on numerous things. To get traffic, you use promotions and many methods. However, the highly preferred option all around is SEO (Search engine optimization). It is completely reliable and cost-efficient than other digital marketing options available out there. You may not know that SEO has plenty of amazing technique that can boom the traffic and help to reach more people effectively. The credit behind huge traffic goes to various reasons and strategies. The below given are all the strategies that can help you increase traffic by a great amount and making your website popular. If you are the seo experts then you know very well about the seo technique that helps you to boost your site ranking in SERP. There are two seo techniques, First is ON Page and second is Off page seo techniques. But you need to focus on first one is called On-Page seo techniques. Who doesn’t know about the importance of Meta Tags? These are effective to increase the traffic on your website because these can list your website in the top results. It can be done with the help of HTML keywords but these do not appear on SERP, and these mainly remain in the coding of the page. It is highly effective and most preferred these days. With the help of Meta tags HTML code, you can target specific keywords that are helpful to fulfill the need with ease. Make sure that you target keywords that are mentioned on your page or you have related content on your website. It becomes a pretty much reliable option due to such reasons, and you can try it out now to boost traffic by a significant amount. With the help of a good page title, you can increase traffic also. Wondering that how this technique works? Well, you have to focus on various factors. Page Title matter as much as the Meta tags matter. In order to use these, you have appropriate pages on the website or not. If all the pages are right, then you can take this technique into use. The important thing about the page title is the keyword in the title. If you have a title with the keyword inside, then it will help your website get into SERP.But we don't keep the exist match keyword in page Title. It is also important that you should go for a unique and perfect title that matches the content on the page. The more people visit your website, the more it will trend and get in the top search. The important part of a good On Page SEO technique and strategy is to focus on Meta description. If your website doesn't have proper Meta description, then you are likely to face more issues. You have to place the most important information about the page in this section. It increases the chances that the searcher will visit your website. In most of the cases, you should create a good meta description or very short note related to the content. 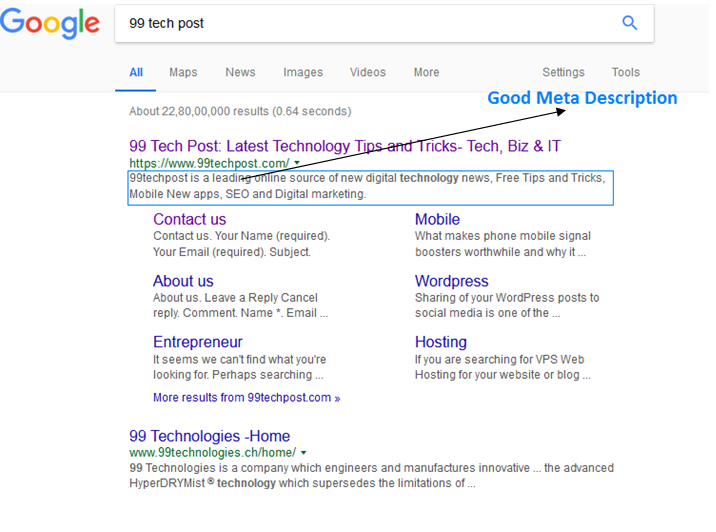 The Meta description is shown under your website name in the search result of SERP. Most of the time, business mention that what they are all about or they show the content that is in particular page you are going to open. If you have a good and short description that is enough to attract searcher, then it will be going well and making the website keep on ranking for a long time on the same keyword. A good URL structure plays an important role that can help in various manners. It is the important technique of On-Page SEO, and it is totally helping with your website ranking that's why you can try it out without any issue. Always using search engine friendly URL will come handy here and you can rely on it for sure. It also provides better results in most of the cases. If you have a URL with targeted keyword and the website is also optimized completely then it will help to take your website to the next level way effectively. You can try out this method and obtain higher traffic easily. The URL contains the structure of a website that's why must pay attention to this factor. A good keyword density is essential to ensure the search engine that you have related content. But, if the keyword density exceeds then, Chances are higher that the page won't rank at all. In such cases, Google spams those pages and don't rank them easily. To avoid such issues, focus on optimal keyword rating. Always focus on the use of relevant keyword and maintain a keyword density of 2%. If the keyword density exceeds the optimal amount then the chances of ranking in top search decreases in most of the cases. Even it is also important that your page has the mix of Latent Semantic Indexing otherwise it won’t rank. 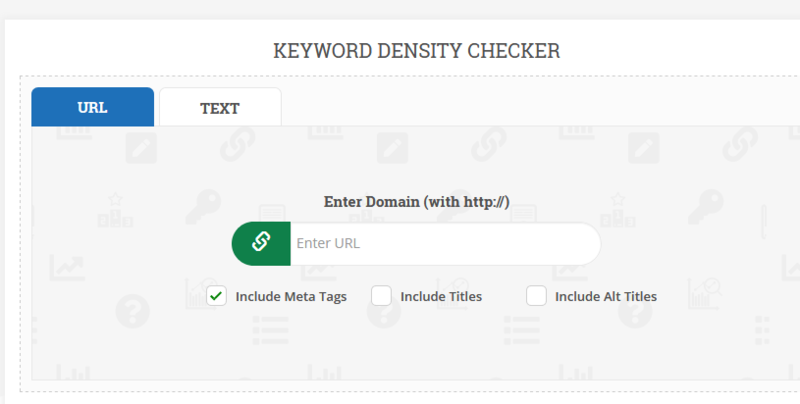 These are some of the essential factors about keyword density and if your website has higher traffic then focus on keeping them as they are because the change in keyword can lead to issues. The image SEO is also important, and it is playing the vital role to boost your website in SERP. It can help because it can grab the attention of the visitor and it can significantly increase your traffic website. You may be wondering that how it works, right? Well, the visual appeal helps here and boosts traffic. But, you have to optimize the image for SEO, and it can easily boost the traffic after that. You have to focus on the perfect description on your page, and you must have alt text with images to make them more attention seeking. You can try out this method and gain more traffic on your website. If it is not working, then focus on optimization. A good internal linking is helpful to drive the traffic from your one page to another. It is also used in the backlinking, and it is a highly reliable option to boost the traffic effectively on your website. Even it is called one of the best technique that works perfectly. 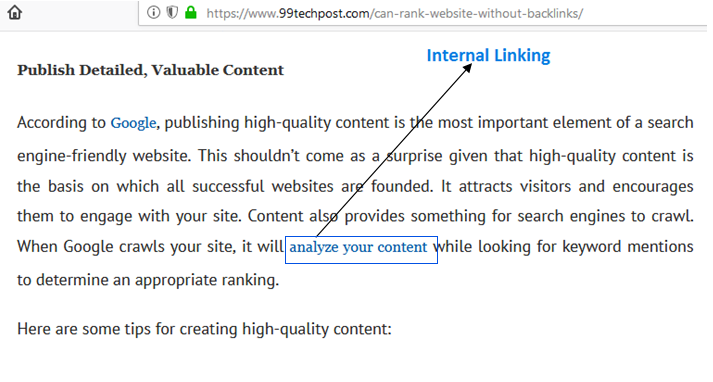 In the internal linking, you drive traffic directly to a web page, and it also helps in the blog posts. If the reader is really getting into the content and he/she wants to know more, then such links make them click and directed to another page. It is effectively increasing web traffic. 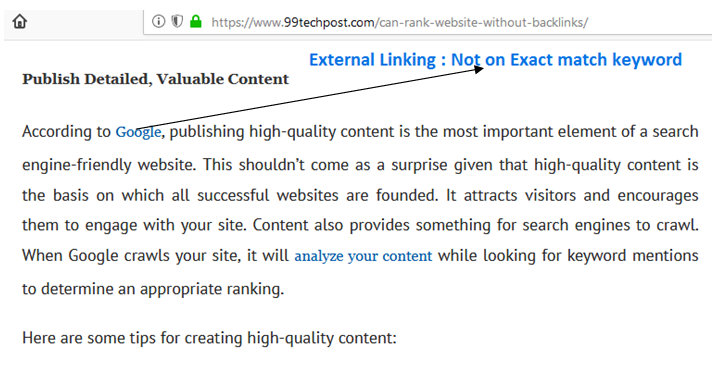 The external linking is quite a different method than the internal linking but it also works perfectly, and you can try it out without any issue. In most of the cases, you have to focus on something that is related to your website, and it can help in boosting the traffic effectively. The information added on your website must be relevant to the links you are adding on your web page. But, it is important that one focus on the website is linking with the trusted website, and it is an essential factor that you should not avoid in any situation. Otherwise, the external linking is not going to provide many benefits. Something you can try out without a single issue is heading tags, and these tags work quite effectively that it can boost the traffic and improve your ranking. It is not the best, but it can help in the on-site SEO. You must have all the content in small paragraphs, and there must be different sections. The heading tags termed as H1, H2, and H3, etc. If you have good heading tags and everything is well managed with small paragraphs, then the website will rank perfectly. On the other hand, if the content has no issue like plagiarism and quality, then it will increase the chances of ranking. The last thing you must be focusing on is world count, and it is the vital part for sure. There is no limit on posts, but if you are going for long posts with many topics, then the search engine can find them irrelevant and less helpful. Those pages won't be accepted. there is also a minimum word count that is 700 words. If your content is above than 600 words the focus on keeping it well managed. On the other hand, the content must not be copied from any other page. The quality and unique content matter a lot, and you should focus on it. Above given are some of the best on-page SEO technique that works perfectly in 2018. Even the techniques were the same in 2017, but there is much more improvement this year. You can try out all the methods and take your website to the next level by increasing the traffic. Hope, this post will help you creating a well-managed website that can easily rank in SERP.